They are here! After months of work and generous support from sponsor businesses, we have the perfect holiday gift for your animal lover friends. 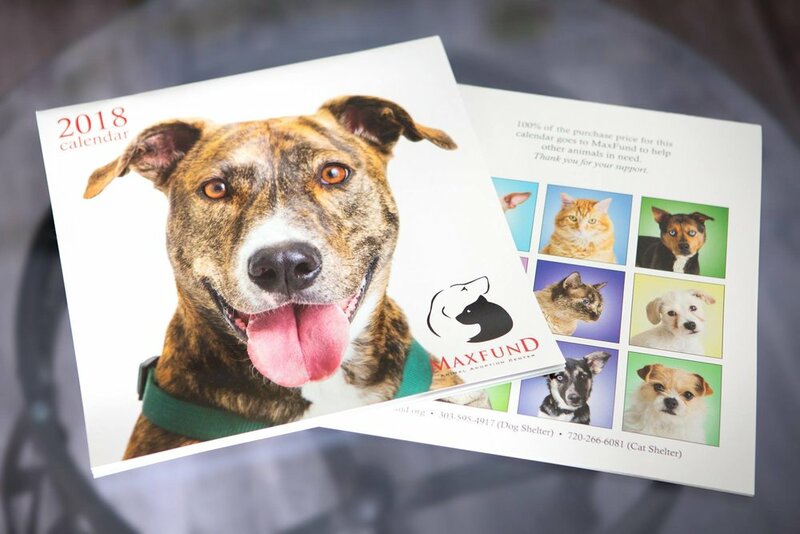 The 2018 MaxFund No-Kill Animal Shelter and Adoption Center calendars have just arrived. Calendars are $15 and 100% of the purchase price goes to help Denver area dogs and cats in need. This year, by popular request, the calendar features both cats and dogs from MaxFund. Some of these animals are still waiting to be adopted, so please contact the shelter if one of them catches your eye. Pick up your calendar at their Puttin' on the Max Gala on Oct 14th or at the shelter after that.